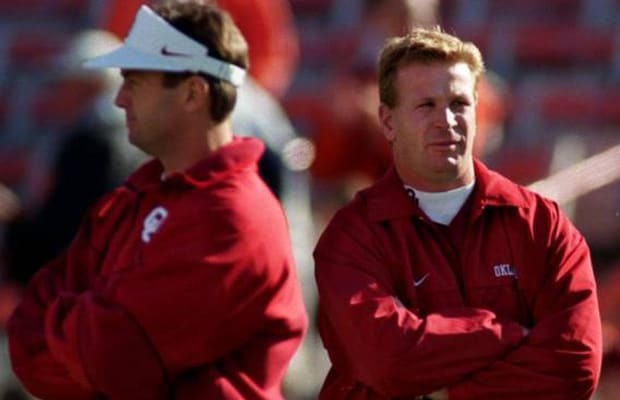 How much credit does Mike Stoops deserve for his brother Bob's initial success in Norman? It’s not everything. Because offensively they've been great. They've played for other titles and won the Big 12 after he left. One thing I’d say to OU fans is that Mike coming back isn’t going to fix everything. He has moved players where they fit best. The issue with OU is that they haven't recruited to the level they did when Mike was there. They are not as physical at linebacker as they have been. I think if they shore up the defensive tackle position and get linebackers like they’ve had in the past they’ll be better. You really discredit the previous teams and coaches to say everything is going to be better with him back, because they were extremely successful after he left.